It was the most eagerly-awaited car of the evening at the RM Sotheby’s “Driven by Disruption” auction and it more than lived up to expectations. 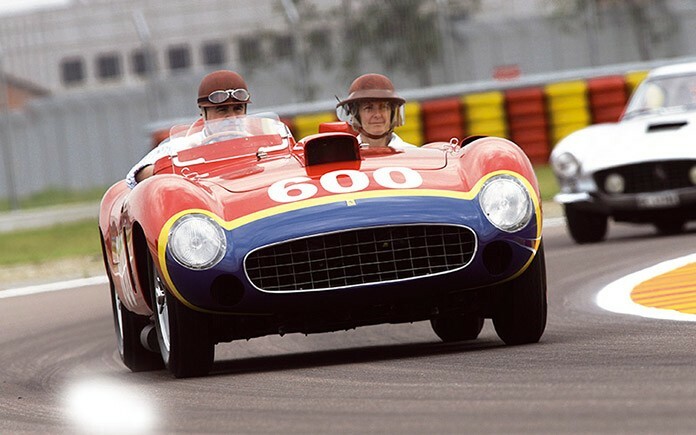 When the bidding stopped, Juan Manuel Fangio’s famous Ferrari 290 MM had sold for 28 million dollars (25.8 million euro). The car, which belonged to collector Pierre Bardino, is incredibly rare as there are just four examples of the model in existence. In the history of motor racing, it is hard to imagine two names with greater stature than Ferrari and Juan Manuel Fangio, the enigmatic five-time Formula One World Champion. 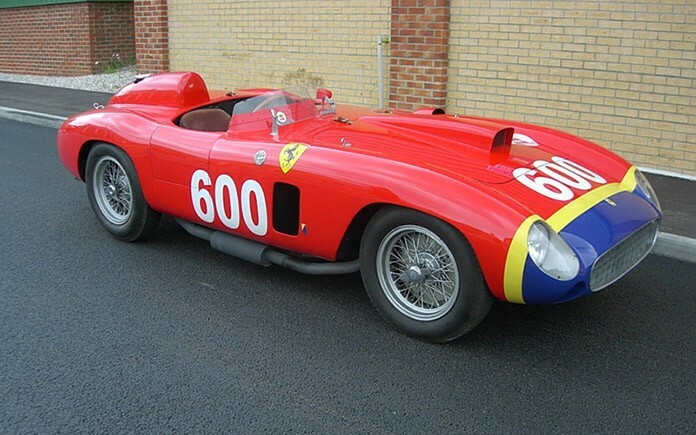 Chassis 0626 was specifically built by the Ferrari factory for Juan Manuel Fangio to drive in the 1956 Mille Miglia. Certainly the best driver of his era, and classed by many as the greatest driver who ever lived, Fangio raced 0626 in the 1000-mile event single-handedly, finishing an impressive 4th overall in a race hindered by appalling conditions. Dressed in the unique factory Argentinian color scheme for Fangio, the car featured a totally new 3.5-liter V-12 engine and was one of only four 290 MMs to be built. Furthermore, it was one of the first Ferraris raced in Europe by Phil Hill and also heralded the beginning of Wolfgang von Trips’ Ferrari-driving career. 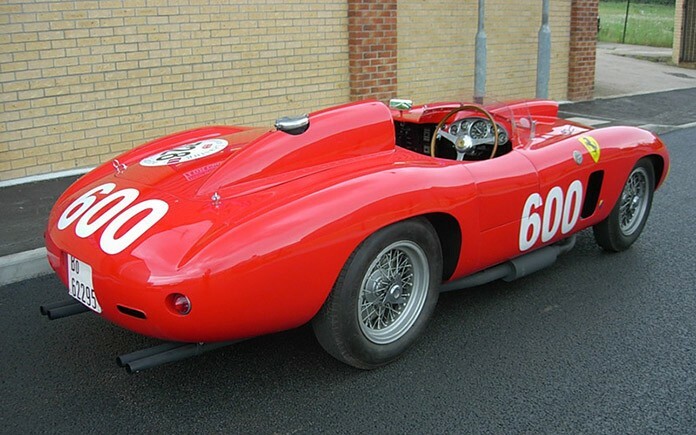 Combining rarity, powerful mechanical specification, important racing history, and purposeful good looks, 0626 is the ultimate 1950s factory sports racing car. An integral part of Ferrari’s 1956 and 1957 Manufacturer’s World Championship-winning teams, it participated in a roll-call of classic races during its period racing career. Dream team. The list of famous names that fielded this particular 290 MM is quite incredible: Juan Manuel Fangio, of course, 1961 Formula 1 World Champion Phil Hill, the legendary Peter Collins, Wolfgang Von Trips, Eugenio Castellotti and Luigi Musso, all the way to endurance race supremoes of the likes of Olivier Gendebien and Joakim Bonnier. It was in the Scuderia Temple Buell colours, however, that the car delivered its single most important coup, victory in the Buenos Aires 1,000 Kilometres in the hands of Masten Gregory, Castellotti and Musso.